Peter Suber wrote: Nomic is a game in which changing the rules is a move. In that respect it differs from almost every other game. The primary activity of Nomic is proposing changes in the rules, debating the wisdom of changing them in that way, voting on the changes, deciding what can and cannot be done afterwards, and doing it. Even this core of the game, of course, can be changed. The Original Rules wrote: 1. Anyone may join the game at any time by posting in the thread. 2. Any player may propose a new rule or propose an amendment to an existing rule. 3. Every player is entitled to vote on proposed rules or amendments. Each player has a single vote on each proposed rule or amendment, including their own. 4. A proposed rule or amendment will be adopted and the ruleset adjusted accordingly on reaching a majority of three votes in favour. 5. A proposed rule or amendment will be dismissed on reaching a majority of three votes against. 6. Each player can only have a maximum of one proposed rule or proposed amendment up for voting at any one time. 7. A player can dismiss their own proposed rule or amendment at any time during voting. 8. Any disagreement over the interpretation of a rule must be settled by majority vote. 1. Anyone may join the game at any time by posting in the thread. 10. 'If a player has a proposed rule rejected. They have to apologise for wasting all of our time in a post, within 3 posts or 1 hour after the rule was rejected. Otherwise they will lose a Forum Doubloon. " 14. if you successfully propose a rule that gets adopted, you get to come up with one name change to be forced onto Dan at some point in the future. 24. A rule proposal must be clearly declared and visible with the rule text contained on its own within a single quote box. Whenever voted on, the voter must re-post the rule in the same format, with an accurate vote count below it including votes for, votes against, and the current majority. Votes for and votes against must include both the total count and the list of voters for each. A proposed rule amendment must be treated the same, except both the original rule text and the proposed amendment should be separately quoted. 25. All rules should be categorised to allow easier comprehension of the rules of the game. Categories can be added as an when required by the standard proposal mechanism and all new proposals should indicate the category to which they belong. 12. If no new proposals are made in a period of 48 hours, any rules preventing proposals being made are suspended until the next new rule is adopted. This rule shall be known as the "Hexx smells rule". 17. Consecutive posts cannot result in any Forum Doubloons being gained for the player who makes them, or any Forum Doubloons being lost by any other player. 19. 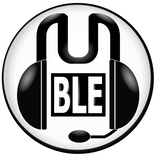 Standard No Outside Contact rules apply: no PMing each other with game-integral matters, no coded messages, and no post editing! 20. Each participant shall be limited to three successful rule or amendment proposals per day. Should a participant exceed their allotted amount in a 24 hour period, they shall be docked one Forum Doubloon. 23. 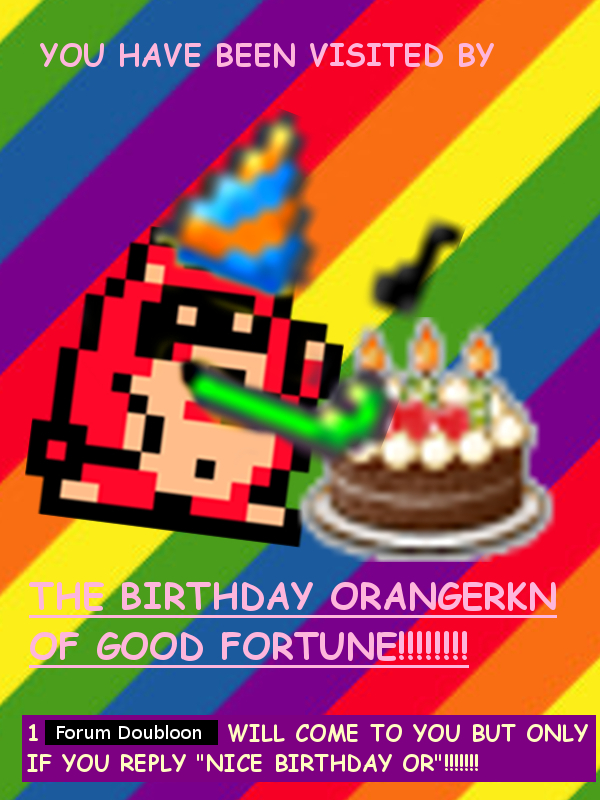 As the person with the knowledge of the roles of all other players, OrangeRakoon is granted the title of Game Master. His win condition is met if the cumulative total of Forum Doubloons owned by all players within the game is equal to or greater than 100. Upon winning the game, he can choose to conclude it, or allow it to continue in order for a winning 'side' to emerge from the remaining players. 28. The objective of the game for the Investigators is to reveal the identity of all Aberration players. The Investigators win if a rule is adopted that correctly states the identity of all Aberration players and does not incorrectly claim any Investigator players as Aberration players, as confirmed by the Game Master. If an incorrect claim is made in an adopted rule that is voted for by at least one Investigators player, one existing player on the Investigators team will change over to the Aberrations team, as chosen at random by the Game Master, and will be so informed via PM from the Game Master. 13. An Aberration player with at least 5 Forum Doubloons (to symbolise their growing power) may place a posting restriction on another player for their next ten in-game non-consecutive posts. The posting restriction shall be submitted privately to OrangeRKN in a PM, who shall inform the target (and also gets to decide if the posting restriction is reasonable I guess) in a PM likewise. The player may not submit another posting restriction for another 48h. 22. An Investigator can exchange five Forum Doubloons for the ability to PM OR with, ‘Investigate [username].’ 24h-ish later, OR will return their actual team name to the Investigator via PM. An investigator must then wait another 24h before investigating again. 15. At any time, a player can post quoting another player and amend the subject line of said post to state "I Love You, But I'm Stealing Your Forum Doubloon". In doing so, the player making the post will steal one Forum Doubloon from the player they quoted, unless the quoted player makes a post of their own with the subject line "Not Today, Baby" no more than three posts after the "I Love You..." post. Any players whose username has changed during the course of the game are exempt from the effects of this rule. 21. This rule cannot be amended. This rule cannot be removed. Any reference to this rule incurs a 10 point penalty. This rule takes precedence over all other rules. The player with the least Doubloons in-game at the time who is not a Duallist decides who ‘won’. If either player goes more than 18h or ten posts (excluding double-posts) without responding, their opponent wins by default. The winner steals five Doubloons from the loser, or however many positive Doubloons the loser has if less than five. If multiple people are tied for least Doubloons outside the Dual, the first person to give a victor with reasoning will hold sway. If 3h go by without a victor being announced, any non-Duallist can declare a victor. Only one Dual can be taking place at once. A player must wait 24h between their issued challenge ending and issuing another. The player challenged cannot be challenged for 48h after their Dual ends. 29. There shall exist a bank. At any time, any player can propose that they will deposit any amount of their Forum Doubloons or Euros into the bank, or withdraw any amount of currently available funds from the bank. Any such proposal is subject to all the same criteria all other rule proposals are subject to as per the rules of the game e.g. a player proposing "I withdraw 10 Forum Doubloons from and deposit 10 Euros into the bank" can only do so upon their proposal passing with a majority of +3 votes. It is not possible for the bank to go into negative values for any currency at any point in the game. This aspect of this rule cannot be removed or amended at any time. 16. Dan's Forum Doubloon's total becomes the negative of its present value when this rule is passed. At the same time, everyone who is not Dan gains one bonus Forum Doubloon. 26. Forum Doubloons are replaced with Forum Doubloons, with immediate effect. All references to Forum Doubloons within existing rules are amended to instead reference Forum Doubloons. The quantities referred to within said rules do not change i.e. a rule that previously awarded one Forum Doubloon if followed would now instead award one Forum Doubloon. All existing player Forum Doubloon scores are converted to Forum Doubloons at a ratio of 1.3 Forum Doubloons to every 1 Forum Doubloon. Where a player has a current Forum Doubloon score at a value that is less than zero, their score is recalculated so that every negative Forum Doubloon is converted to 1 Euro. Any individual player or team win conditions cannot be met if the individual or team possess any Euros, unless the UK leaves the European Union, at which point all Euros will instantly be converted into Forum Doubloons at a rate equivalent to the real-world exchange rate of GDP to Euros exactly 24 hours after the moment of the UK's departure, with Forum Doubloons taking the role of the GDP for the purposes of this transaction. Hopefully that starts us off well enough. If there are serious problems that prevent the game from even working, you can blame me for reinventing the wheel! Also note that this OP isn't guaranteed to be up-to-date. We'll see how well we can keep track of rule changes I guess! On failing to get their rule adopted a player will be required to post in Iambic Pentameter for the remainder of the game. Once a player's rule has been adopted/rejected - they may not propose another rule change until at least one vote has been concluded and a new rule adopted. I like the idea but it needs rewording. As it stands a player can't propose another rule until both another vote has concluded AND a new rule is adopted. If everyone's proposals get rejected then we'll be stuck in a situation where no one is able to propose any changes, because everyone will be waiting on a rule to be adopted where no rules can be adopted. Well yeah. Duh. That's the point. It pushes people to want to get a new rule adopted and keeps momentum. Can I propose the rule. 'If a player has a proposed rule rejected. They have to apologise for wasting all of our time in a post, within 3 posts or 1 hour after the rule was rejected. Otherwise they will lose a point. " Hexx wrote: Well yeah. Duh. That's the point. It pushes people to want to get a new rule adopted and keeps momentum. If no new proposals are made in a period of 48 hours, any rules preventing proposals being made are suspended until the next new rule is adopted. This rule shall be known as the "Hexx smells rule". +1 OrangeRKN's "Hexx Smells Rule"
An Aberration player may convert 2 points to place a posting restriction on another player for their next ten in-game posts. The posting restriction shall be submitted privately to OrangeRKN in a PM, who shall inform the target (and also gets to decide if the posting restriction is reasonable I guess) in a PM likewise. Added the three passing rules to the OP. I've also added a points section, to track player points - at least as best as I can! I'm leading this village everybody claim to me. I propose that if you successfully propose a rule that gets adopted, you get to come up with one name change to be forced onto Dan at some point in the future. I will happily take up the mantle myself if you can’t be bothered. +1 for CD's Dan name changer rule! This thread is going to be chaos isn't it! ?